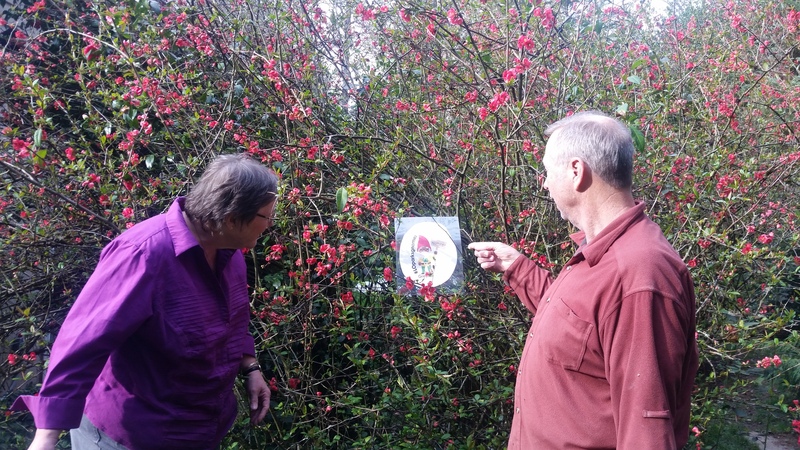 Find the Stewardship Gnomes in Nature! Rumor has it Blossom, Greenie and Oak upped their hiding game this year! The 3 gnomes hide in 3 natural park areas each month...then roam to 3 new park sites. 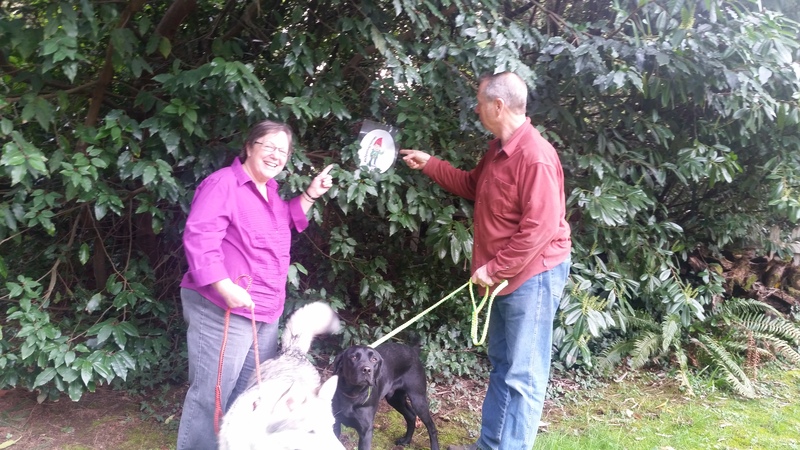 Check this website monthly to learn where they are hiding...then, get out and find them! We hope you also discover winding trails, scenic vistas and unique characteristics in these natural areas. 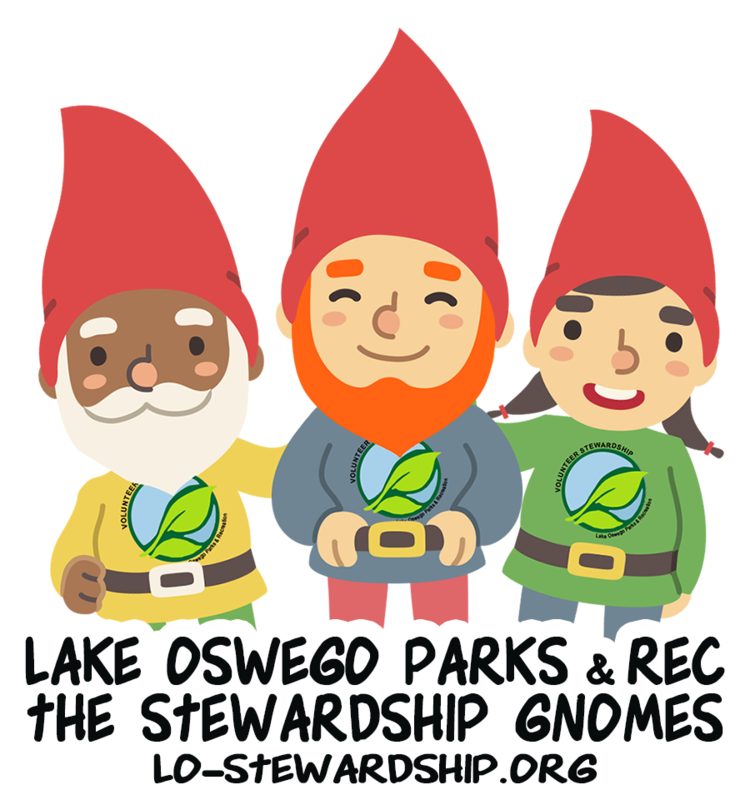 Find 3 gnomes hiding in each of these 3 park natural areas. Snap a pic. Post #LOparkgnomes on social media. These gnomes love publicity! Who knows where our wee 3 gnomes are hiding in this this petite slice of nature? These gnomes have ventured off the paved path onto winding natural trails. The hunt is on! Location: Below Hallinan Grade School (16800 Hawthorne Dr. ) Follow the paved path that borders the field below Hallinan Grade School. The path leads into Hallinan Woods. This 7 acre natural park is tucked away and has epic river front views. Watch for bald eagles and osprey as you hunt for the gnomes. Cross the wee bridge and follow the path toward the old orchard as you look for our 3 friends in red pointy hats. Location: 19698 River Run Dr. Parking: This park is accessed from a neighborhood culdesac. 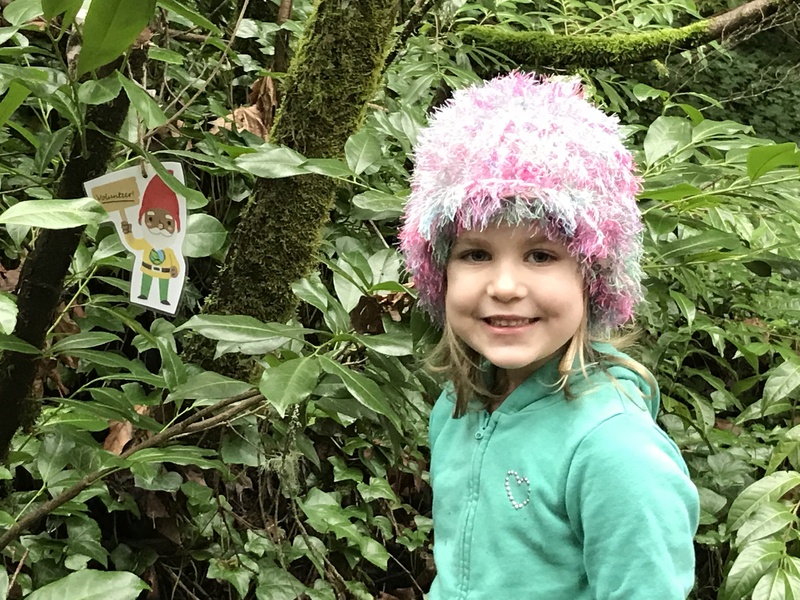 The gnomes challenge you to find them in this 52-acre nature park! Over 2 miles of trails meander beneath canopies of big-leaf maple and red alder. Keep your eyes open for trilliums, towhees and small wildlife. These gnomes have ventured to all corners of this large park! Parking: There are trail heads off of Wembley Park Rd. and near the Lake Oswego Tennis Center. 2018 Gnome Fun Feedback: Bravo! You discovered the elusive giant salamander that was swimming in a natural spring. This natual spring is tucked away in the middle of an often overlooked natural area. Wow! You spied deer, beaver and rabbits along with eagles, great blue herons in the natural areas! Oh My! You witnessed a marraige proposal in front of a hidden gnome! Who knows what you'll discover hunting for gnomes in 2019! 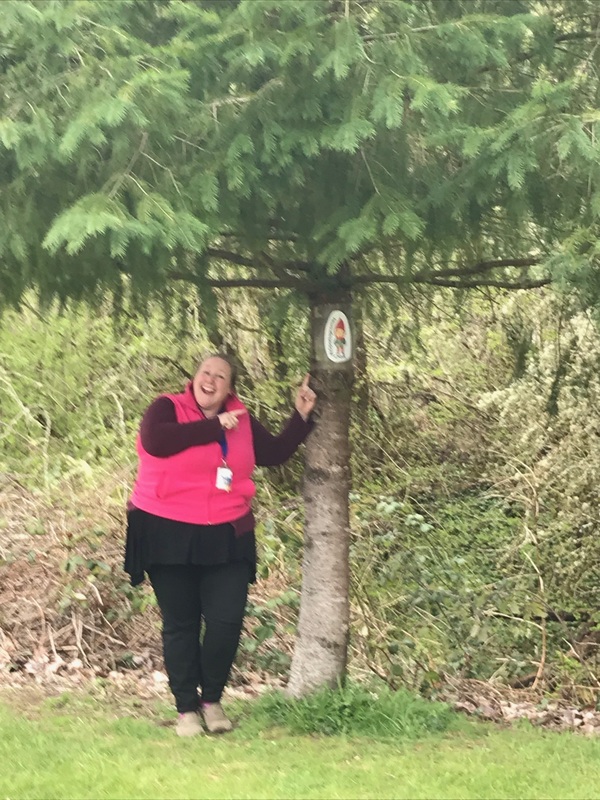 Check out #LOparksgnomes to see 2018 fun pics of successful gnome hunters. 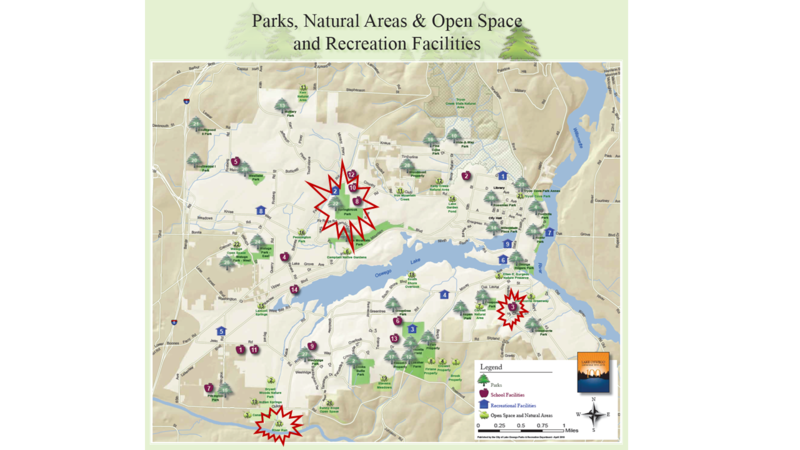 Natural Park Area Info: Lake Oswego has over 400 acres of natural park areas that are integral to the ecosystem and watershed. Natural areas provide habitat for native plants that offer food and shelter for animals, birds and pollinators. Native plants help filter water and prevent erosion via their root structure. Learn more about Greenie's favorite foods, movies and sports! Meet Blossom the Stewardship Gnome, and learn about her favorite things! Oak shares his favorite hobbies with Natural Area visitors! We need your helping hands in our Parks! 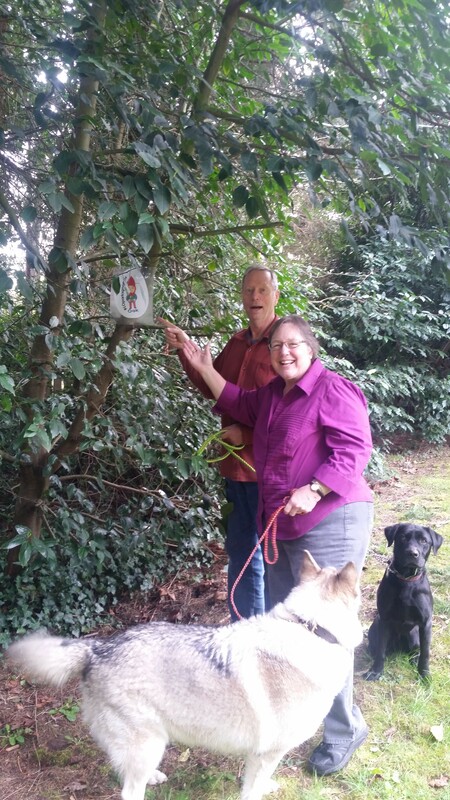 The City of Lake Oswego works with volunteer Friends Groups to help keep over 400 acres of Lake Oswego's natural park areas healthy and beautiful. Check out the many stewardship events where volunteer help is needed to protect and restore natural areas in our community! 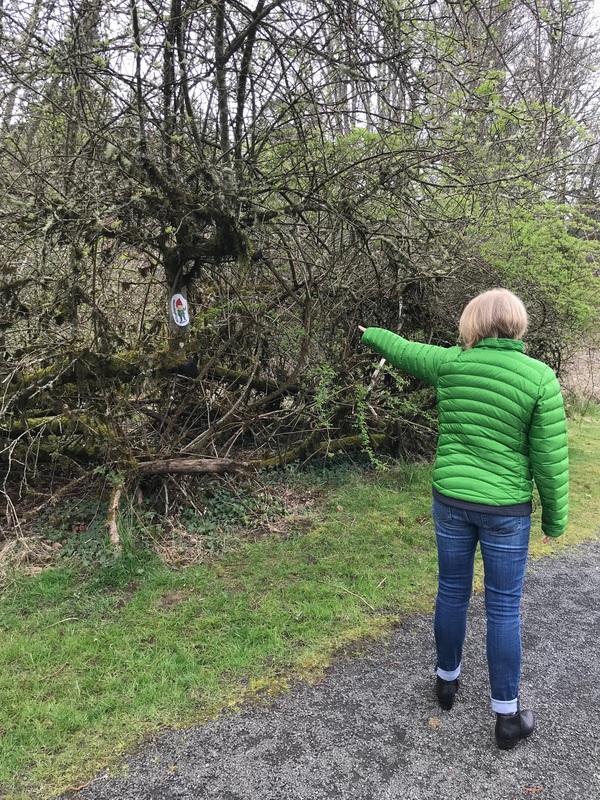 Gnomes in Nature 2019, April locations.